Fusion of Essential Oils that make you feel uplifted and can take you on a journey to another place. I love to experiment with the Essential Oils I have, but don’t use enough. We often hear a lot about ingredients like Lavender and Frankincense, but not necessarily others like Lemongrass or Jasmine. 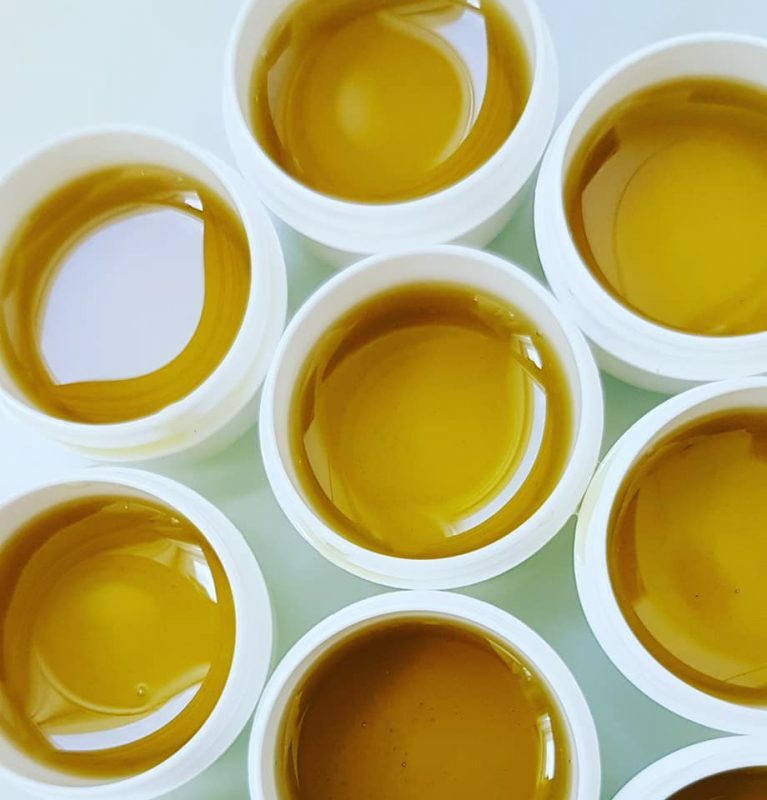 Whilst making my customer’s products, I decided to make myself something new using Grapefruit White, Lemongrass and Jasmine.The Vegetable Oils selected also keep the skin hydrated, are rich in Vitamins and help conditions like varicose veins. 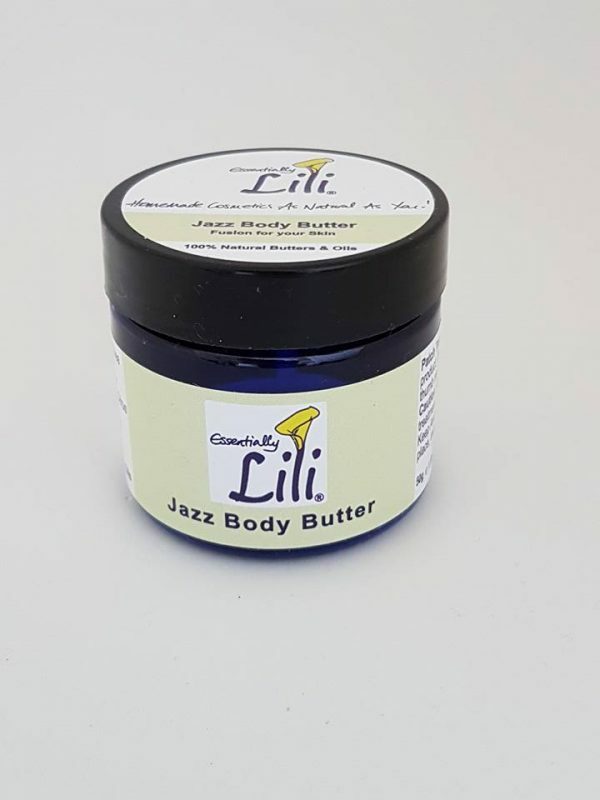 At the moment it’s called, Jazz Body Butter , but this could change depending on the vote from my customers. Mine and my husband’s instant reaction was that it has an Asian fusion that smelt a lot like yummy Thai food.He was worried about this new product being the replacement of his other favourite Mint Body Butter.He loves how it smells like Aero Bar and using the product feels like smothering yourself in chocolate.The best part of using these body butters is that it melts onto the skin as soon as it’s in contact with your skin. The benefits of using the Body Butters is that they contain Vegetable Oils that are rich in vitamins A, B, C, E and Omega 6 Fatty Acids and Lecithin. 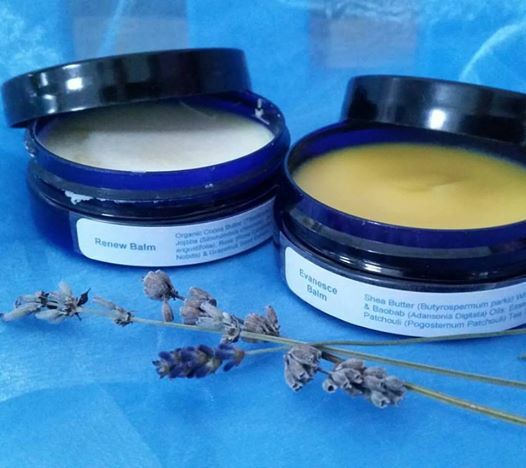 Wouldn’t you love to use a body butter that helps your skin repair as well as keep it nourished?The ingredients chosen for the 2 body butters also help with Varicose Veins which is a bonus. I also decided to change the blend of the Hemp Hands.It was originally made with Vanilla and Macadamia, which sounds delish like an ice-cream combo.But I wasn’t sure it was the right blend for this product.What I love is asking my Customers what they think and what they would like to have in their products.And just like that – out went Vanilla and Macadamia – in came Rose, Palmarosa and Rosemary to make the Rosey Hemp Hands products. 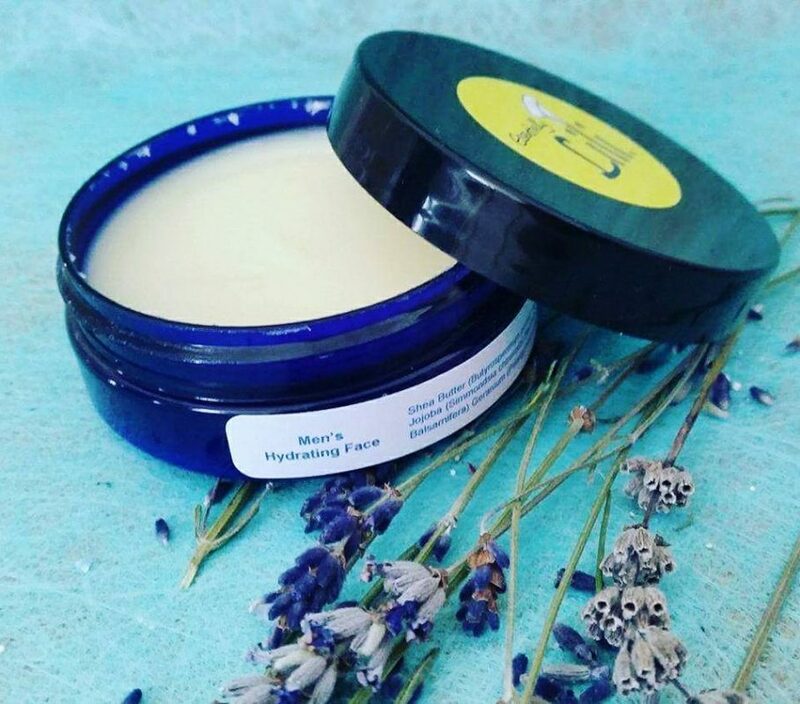 For Kids, I made the Natural Baby Moisturising Oil. It has a gentle combination including Lavender which can be applied from face to feet. The ingredients chosen help nourish the skin as also have the antiseptic properties for cuts and rashes they may have to overcome. The other product I have for Newborn babies is the Happy Babies Hydrosol which is made using Aloe Vera and floral Hydrolats.This product helps soothe and calm skin issues like baby rashes which are common during their early years. 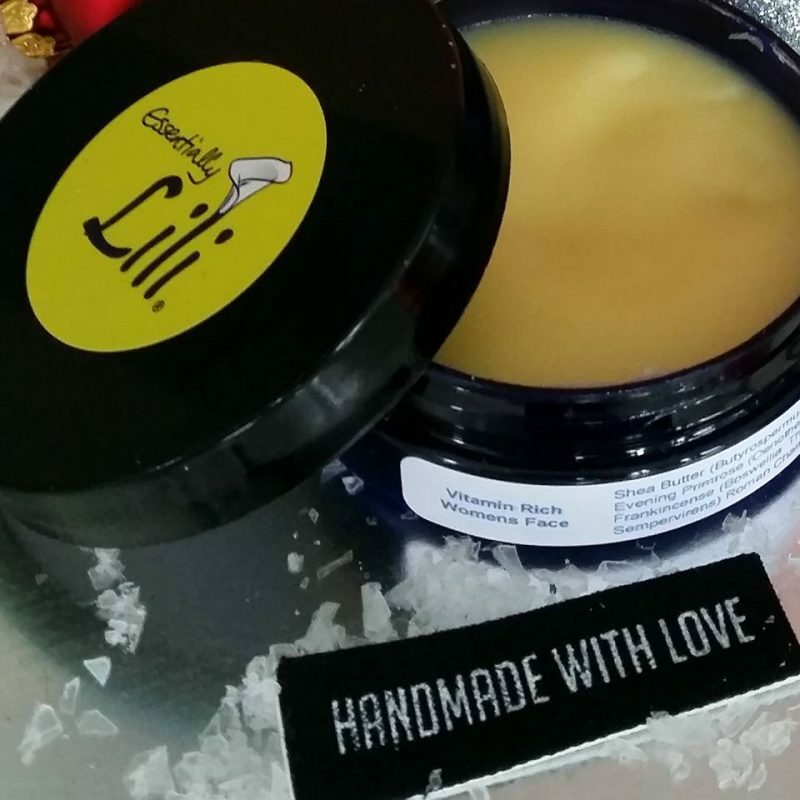 Sometimes, all natural products behave according to the weather:When it’s super cold, they can become hard, solid and difficult to apply;When it’s very hot, they can become soft and often runny.But being resourceful, we just need to think outside the box when trying to apply these! Clean hands is a must for applying our products!Using your thumbnail to remove the balms is the other suggestion as it’s the best way to apply any of the Essentially Lili all natural skincare products to your face, hands, feet and body!Your thumbnail allows you to apply throughout the day without needing to carry around a spatula!! 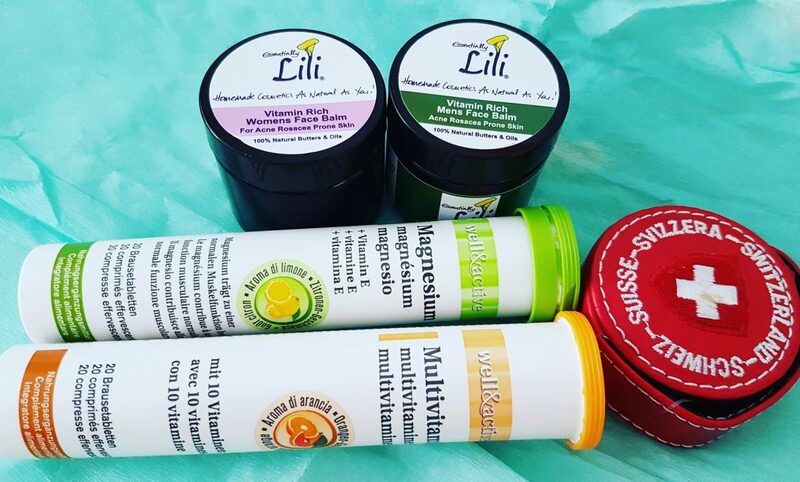 When I’m travelling in the summer time, I have found my products can become super soft from the heat.So if you are travelling by plane, keep your Essentially Lili products with your checked in luggage as it will remain cooler in the hold. I usually keep my sample pots in my carry-on luggage as it’s small enough to reapply during the flight and prevent my skin from dehydrating.When I arrive at the destination, I put my jars and sample pots into the fridge at the hotel/apartment/resort.Not only will the products re-set, but they will be lovely and cool when you need to reapply after being out in the sun all day. When the weather is too cold, they can become solid and hard.The solution for the kid’s product is to run the bottom of the jar under warm running water to soften the Cocoa Butter and then give it a good shake.Sometimes, the product clogs the inner tube – so I suggest that you remove it, rinse it out, dry it and then re-insert it. The best things about all natural products is that whilst I am making them fresh, they will not be tainted with other chemical or synthetic ingredients.Unlike commercially made products which are made to squeeze out with the same consistency, all natural products that are untainted do what they should do ‘ naturally’.So when you receive your products, they will hopefully arrive quickly and without being stuck under a heater in the Post-Person’s delivery van which can make them look somewhat tsunamied! But if they do, just remember you can put your products in the fridge to re-set them! If you had to choose between Peppermint and Lemongrass, which would you prefer?If you had to rename Jazz Body Butter, what would you suggest?Some of the choices were Aysian Fusion, Fusion Body Butter and Whitegrassmine which is a play on the 3 Essential oils!We would love to hear your suggestions … don’t be shy! 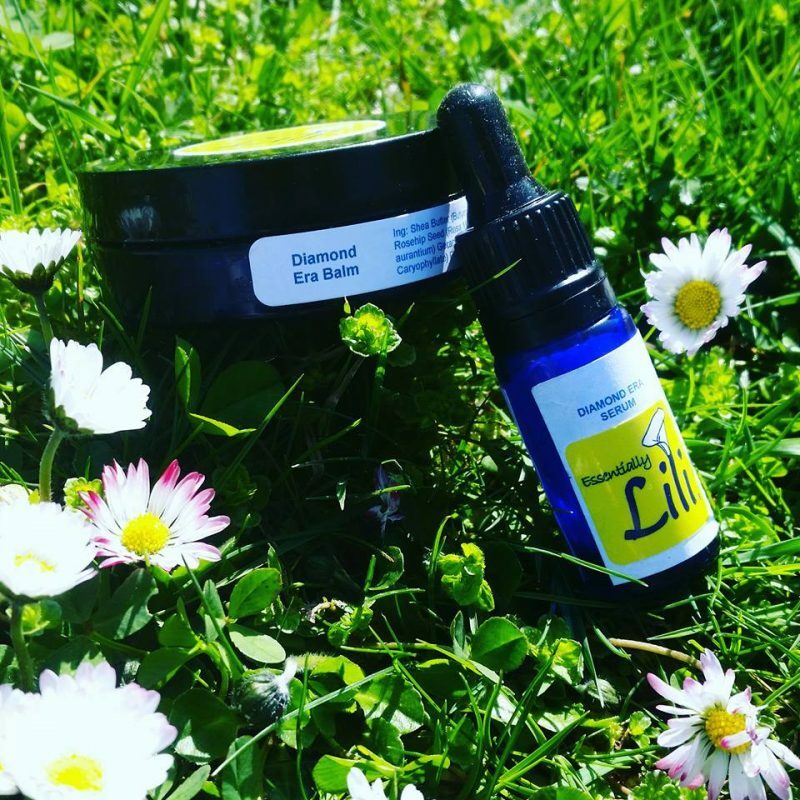 You can read more About Lili here, see the Products we offer and find other Essentially Lili’s Blogs on our webpage. From our previous Blog – Favourite Vegetable Oils – I explained that our bodies’ cell walls and membranes contain quite a lot of fats and oils.Therefore if we use nutritious oils in our foods and skincare products, it actually helps us to maintain the fluidity of our cells. I shared why I love these particular oils in the previous blog: Argan, Avocado, Calendula, Evening Primrose, Jojoba, Sunflower, Wheatgerm and Vitamin E. These are just the surface to the wonderful vegetable oils available for helping the skin and body to feel great all the time. Baobab Oil (Adansonia digitata) contains Omega 3, 6 & 9 Fatty Acids, Antioxidants, Vitamin A, B1, B2, B6, Vitamin C, D, E, F, proteins & minerals. It has the high content of Vitamins A and F which are vital for skin rejuvenation and anti-aging. These factors contribute to maintaining healthy skin, makes an excellent moisturiser as it is a highly penetrating oil. Baobab leaves the skin feeling soft as it absorbs quickly and doesn’t clog the pores, which is great for sensitive skin.Baobab Oil is fabulous for those who suffer from, Eczema, Sun Spots, Actinic keratosis amongst other conditions, as it is intensely rich and nourishing on the skin and hair. Baobab originates in Africa, and is referred to as the ‘Upside-Down-Tree’.The diameter of the tree’s trunk is often 11m in diameter, growing as high as 30 meters.There are currently Baobab trees that are over 1200 years old, and it is believed it can live up to 6000 years.In order to survive the harshest of droughts, the Baobab tree can store up to 100,000 litres of water in its trunk. The velvety shelled fruit produced by the Baobab tree is about the size of a coconut, weighing around 1.5kgs. 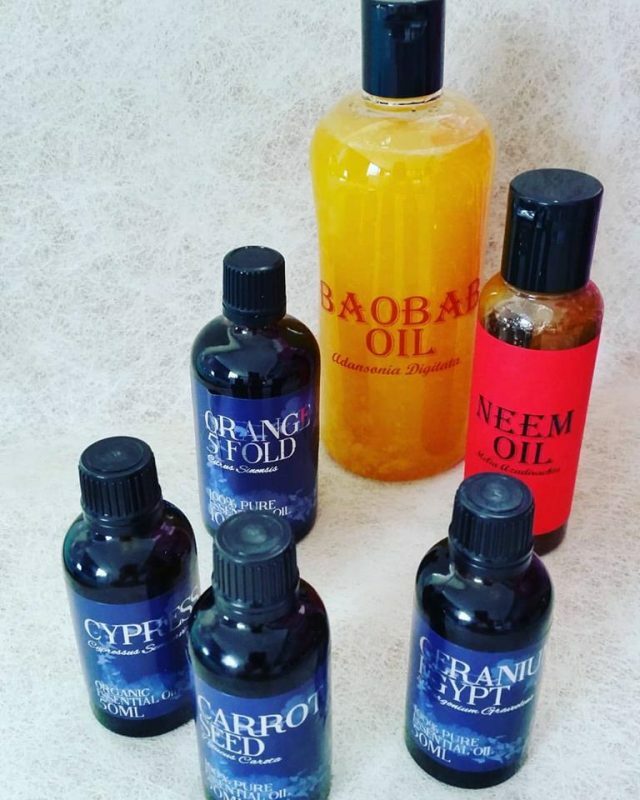 When I bought my first bottle of Baobab Oil , I wanted to ensure it was included in the right products I make. The first recipe to be amended was our Natural Baby Moisturising Oil as I wanted little our ones to get the best oils possible for our baby’s delicate skin. Being great for lines and wrinkles,I had to add it to the Over 50’s Precious Diamond Era products for Classy, Strong Women who want the best for their skin.Baobab with Rosemary Essential Oil are included in the Diamond Era Balm and Diamond Era Serum.To ensure inclusion, Baobab was included to the Men’s Range Hydrating Face Balm. Baobab has worked wonders in the Vitamin Rich Range as it boots the rejuvenation process for skin that needs a little more love and attention.These include the Vitamin Rich Mens Face Balm and Vitamin Rich Womens Face Balm. Eczema & Psoriasis products also have Baobab Oil to help boost the skin’s reserves and speed up the restoration process. Renew Balm for those that need help with conditions like Eczema, and Evanesce Balm for those that have Acne. Using Baobab Oil specifically for moisturising dry skin conditions should be done often until the skin feels better.Baobab oil can be used on children and pregnant women which is a bonus considering how many benefits it has. 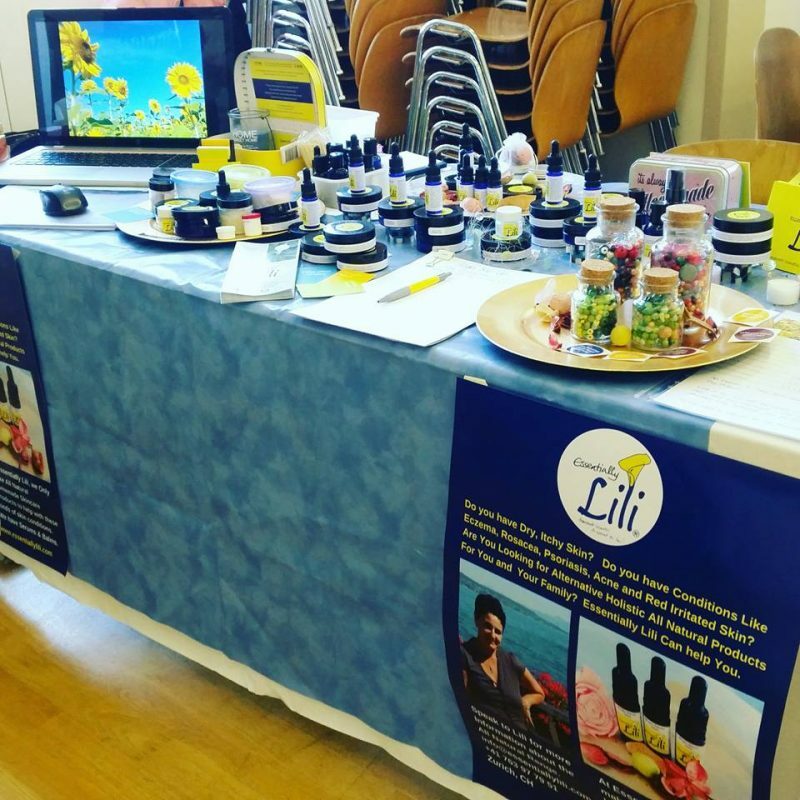 Baobab is a one stop product.I will write about other Vegetable and Essential Oils in future blogs, sharing why I choose them for the Essentially Lili Skincare products.If there is anything you would like me to share about, please let me know below. What did you find amazing about Baobab Oil?Have you ever seen one?Would you like me to include it going forward in the products you use?If so, which ones?Next blog I will share about Tamanu & Kukui Nut Oils. Otherwise known as Carrier Oils, these allow Essential Oils to be applied directly to the skin safely & without causing irritations. The Vegetable Oils used for Product making are not the kind you would normally buy at the Supermarket. Those in the stores are exposed to direct Sunlight, shop lighting and heating which can cause the oils to degrade. Extra Virgin Oil is normally stored in dark glass bottles, so taking this from the back of the row is a good idea! As our bodies’ cell walls and membranes contain quite a lot of fats and oils, it makes sense for us to use nutritious oils in our foods and skincare products. These will help us maintain the fluidity of our cells. may be blocking the pores, allowing these to be removed. There are plenty of Vegetable Oils to choose from, which vary in colour, natural fragrance, and price. Familiar oils include Apricot Kernel, Sweet Almond and Coconut. These are found in many skincare products which help repair and calm sensitive skin. Argan (Argania Spinosa) originates from Southern Morocco which makes this product quite expensive.It is yellow in colour and has a lot more Vitamin E (Tocopherol) than olive oil. It is resistant to oxidation with good free radical scavengers.It’s great for damaged and mature skin as it assists the restructuring of the cells. is going to love it just as much. Avocado originally came from Central America, but now is grown around the world. It is rich in Vitamins A, B1, B2, D, E, and Beta carotene. 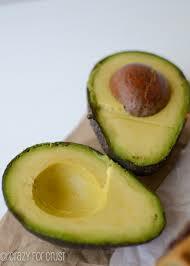 Classified as a monosaturated oil, Avocado is best suited for dry skin conditions in topical applications. It should be green in colour if unadulterated and it comes from the flesh of the fruit. It is great for rehydrating, regenerating and helping the elasticity of the skin.With other carrier oils, Avocado enriches the vitamin and protein content. Calendula (Calendula Officinialis) has anti-inflammatory properties and promotes wound healing.It is used in sun and after-sun products, as well as to help children with nappy rashes, grazes and Mums who are nursing. Evening Primrose (Oenothera biennis) comes from the seeds of the plants which are grown worldwide.It is very rich in Gamma Linolenic Acid (GLA), a fatty substance used for skin conditions like Eczema.Evening Primrose is used in various skin products, creams, bath oils and hair conditioners as it helps the skin’s elasticity and therefore repairing damaged, dry and aging skin. Taking supplements can also be used to help calm skin conditions from within. Jojoba (Simmondsia chinensis) is actually a liquid wax. Jojoba resembles the sebum of the skin very closely and is naturally rich in Vitamin E. This helps promotes the glow in our complexions, as this oil is very light and is absorbed quickly. 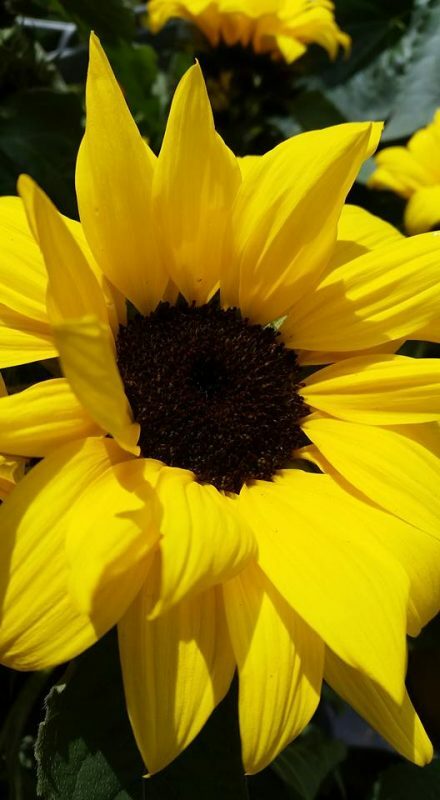 Sunflower Oil (Helianthus annuus) has very little scent compared to other vegetable /carrier oils, and absorbs easily into the skin, leaving very little residue. Sunflower Oil has high concentrates of Vitamins A, B, D and E, as well as minerals, lecithin, insulin. 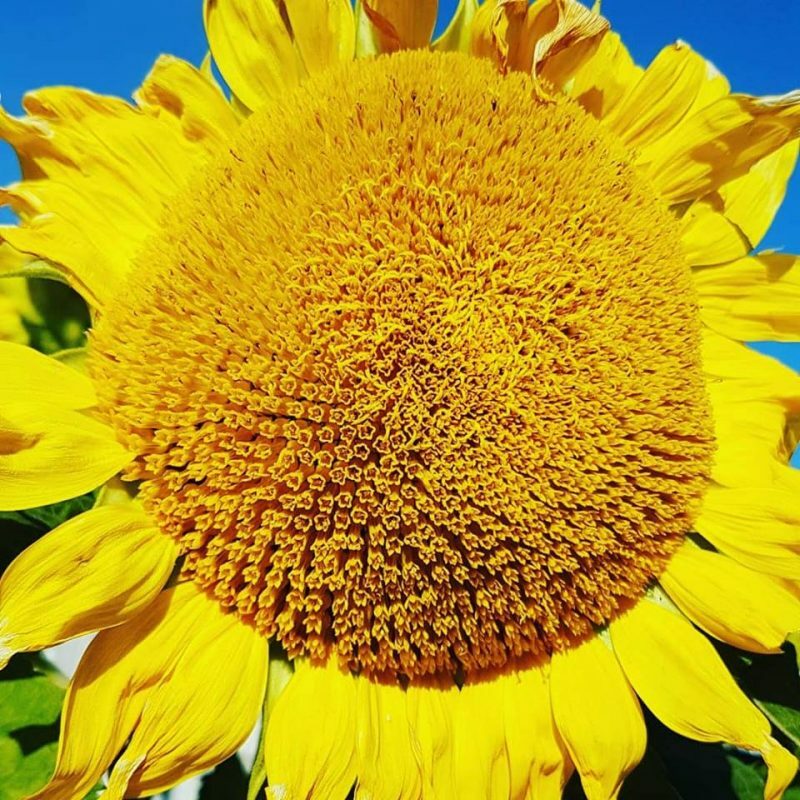 It is a great product for the skin, adding UV protection qualities together with the unsaturated essential fatty acids.Sunflower is amongst the ingredientsfound in Sun Kissed Serum to help with the effects of the sun for those that have been ‘kissed’. Wheatgerm Oil (Triticum sativum) is obtained from the germ of the wheat.It is extremely high content in Vitamin E which is a natural antioxidant and preservative, together with essential fatty acids, Vitamins A, B & D. Wheatgerm helps promote circulation and increase blood flow, which is great for damaged or scarred skin.It helps form new cells to improve appearance of skin, and to help repair sun damage to the skin. Wheatgerm is found in our Vitamin Rich Range to help with skin that has Acne / Rosacea, has been irritated, damaged and needs some love and affection. The Vitamin Rich Mens Face Balm and Vitamin Rich Womens Face Balm and Evanesce Balm for those that have Acne which needs treatment. Vitamin E (Tocopherol Acetate) is a natural preservative and a strong antioxidant. 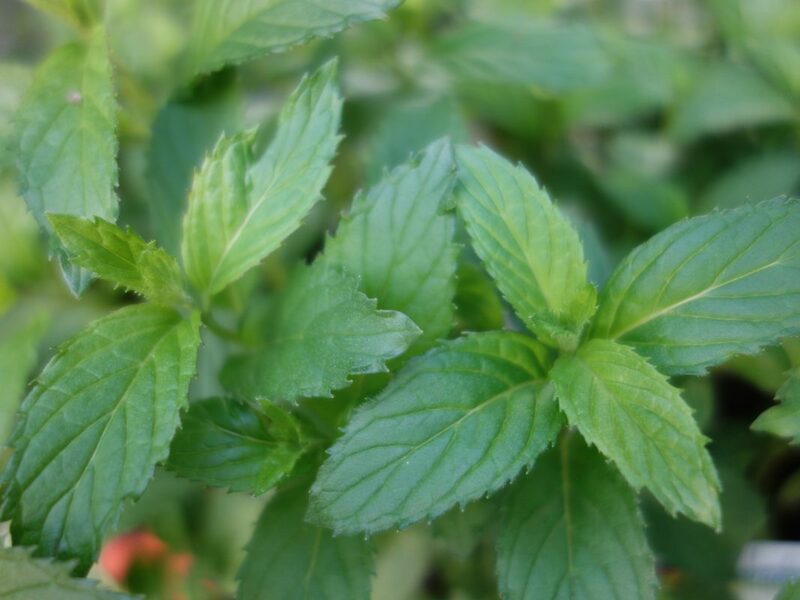 It is used in various skincare products such as acne, lip balms, anti-wrinkle, cleansers and peels for sensitive skin. What I find amazing is how much goodness these Vegetable Oils have.Their wonderful properties boost our skin’s reserves with goodness and help maintain the elasticity whilst promoting cell regeneration.Combined with the Essential Oils, there really is no need to include other unnatural ingredients to our blends.In future blogs, I can share more information about how wonderful these Vegetable Oils are, in the quest of choosing the best ingredients for making the Essentially Lili Skincare products. If there are any Oils that you would like me to include, please let me know below. If I could make you Massage oil, what would you want it to be made of? And which Essential Oils would you like as the fragrance? I would love to hear your ideas! On Saturday 11th March, Essentially Lili attended the Health & Safety information event at Volkhaus in Weidikon, Zurich. For Essentially Lili, the Event was about being present, away from home and the comfort of helping others from my computer. 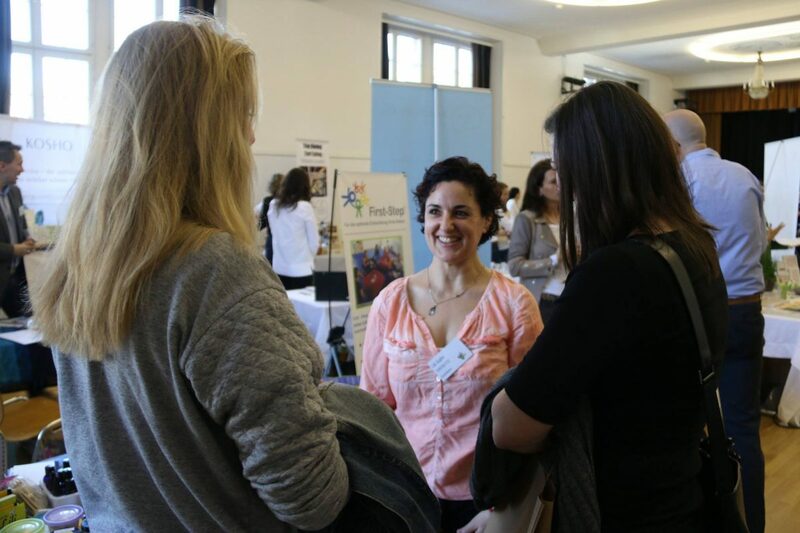 I loved meeting people, engaging with them and hearing their personal stories whilst sharing my own in return. There is comfort shared in having compassion and understanding for each other’s journey, the frustrations and resolutions whilst being able to give reassurance that there is light at the end of the tunnel. 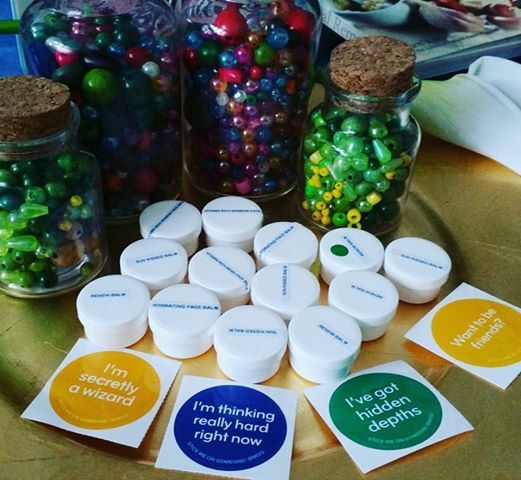 At our table, we had a ‘Pick Your Ingredients’ exercise which allowed visitors to look at our jars filled with coloured beads and think about what is included in the everyday products bought. Did you know that the Cosmetics Industry only has to include between 15 and 18% of Natural and Organic ingredients in order to state on the label that their product is ‘All Natural and Organic’?That means the rest of the 82-85% of ingredients can be whatever they want it to be. Whilst there are many that claim to be making all Natural products, they can actually include alcohols, parfums, artificial fragrances, synthetic and petroleum based ingredients to complete the process of making their products. So a product with pictures of Lavender, Olive Oil, Rosehip Seeds or Geranium flowers doesn’t necessarily mean it will be filled with those ingredients.It could merely be the parfum or fragrance of these ingredients, which is misleading to say the least. 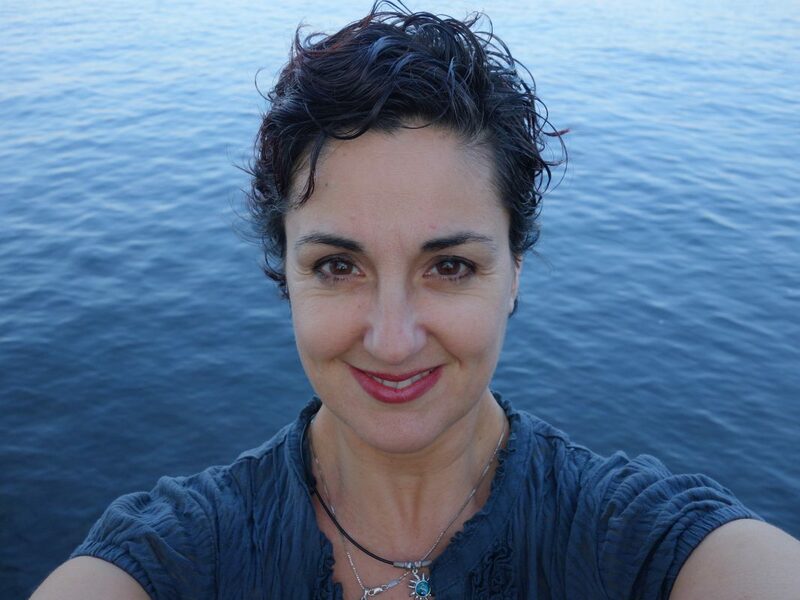 Whilst I was studying for my Diploma in Holistic Skincare Products, one of the lessons was about the ingredients contained in mass produced products.These ingredients are in baby products,shampoos, conditioners, makeup, talc, sunscreens, hand and body lotions. 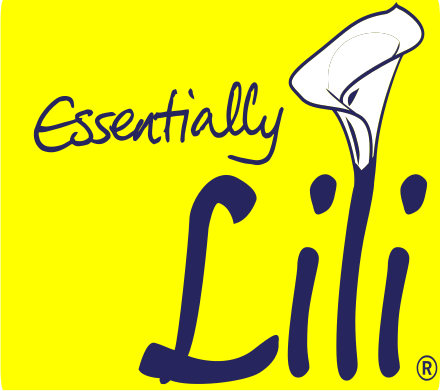 I felt quite ill after doing this subject and it only reinforced my promise not to make products that will compromise on the integrity of All Natural Ingredients contained in the Essentially Lili Range. The Industry has been catering for people who can put all sorts of products on their skin without really worrying about what the ingredients do to their skin.But for those of us who have super sensitive skin, this is not the case.The reactions to these ingredients are often so sudden, causing redness, itching, burning sensations and nothing can seem to calm this down. 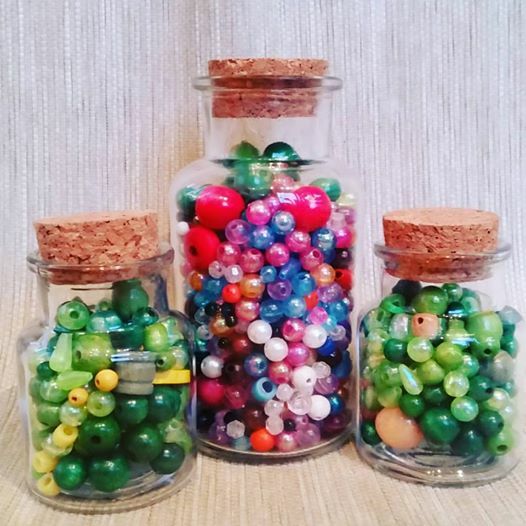 The Pick Your Ingredients Activity became an eye opener for those that came to check out and try the challenge.What did the Coloured Beads Represent? Blue –	Represents Water/ Aqua.This can cause your skin to dry out as moisture is drawn from your skin by the environment, heat, sun and cold weather. Red –	Represents Detergents called P-phenylenediamine, 4-MMPD Sulphate, Diaminobenzene, Ammoniated mercury and Sodium lauryl sulphate (SLS/SLES) & foaming agents which should be avoided. The main source of absorption is via the mucous membranes of the mouth. Found in soaps, detergents, shampoos, mouthwash, hand cream, cleansers, hair dyes (Permanent & Semi Permanent) as well as toothpaste. It can be stored in the liver, heart, lungs and brain.It can damage the eyes, particularly of children. It can cause skin irritations, mutagenic effects, may cause hair loss, prolonged exposure can cause skin damage, moderately toxic by ingestion. Pink –	Represents Binding Agents like gum, waxes and fats. Purple – Represents Nanoparticles are ultra-fine particles which possess certain properties due to their tiny size.This allows them to accumulated in the body, possibly by topical use. They may trigger potentially harmful chemical reactions. Nanoparticles include titanium dioxide & zinc oxide for sunscreen products. Chemical blocks may be absorbed by the skin and work by absorbing the UV light. This causes a chemical reaction in the molecule of block, which may release free radicals. The skin damage can cause photosensitivity and blockers known to do this include: octocrylene, octyl-methoxycinnamate (octinoxate), benzophenone-3, (oxybenzone) and benzophenone-4 (sulisobenzone).If these penetrate the skin before it absorbs the UV photon, then these free radicals are released into the skin.It can increase the risk of cancer and contributes to skin ageing. White	– Represents Synthetics like fragrances & colours, Talc & Toluene.Phthalates listed as Perfumes/Fragrances preserves synthetic scents. There are Over 200 Synthetic Fragrances used in Cosmetics.The label only has to state ‘Fragrance’ so you have no way of knowing which of the 200 are in your product.The fragrance can mask the product going off, provide no benefits, so best avoided.These are often not listed on the ingredients but are contained in health & beauty products.These can be found in Nail polish, lacquers and soft plastics such as pet and infant chew toys.These can adversely affects male sperm, increases testosterone and oestrogen, has been found in Breast Cancer. Talcum powder – Is chemically similar to Asbestos. It is found in many baby products, including powders, feminine powders, condom lubricants and cosmetics. As a feminine powder or spray it can cause ovarian cancer. Toluene – Found in most perfumes, nail polish and cosmetics. Acts as an endocrine disruptor, potential carcinogen, may cause birth defects. Black	– Represents Solvents derived from Petroleum found in brake & hydraulic fluid like anti-freeze. Includes Propylene, Butylene & Glycol, Mineral oils & petrolatum.These are without odour or colour, it’s cheap and works well at combining ingredients.The solvent derived from used in brake and hydraulic fluids like antifreeze. It can penetrate the outer layers of the skin and used as a humectant.It leaves a film that traps the moisture along with toxins & waste that would normally be eliminated through the skin.It can be found in deodorant, shaving gel, conditioner, shampoo, toothpaste, face creams, baby wipes and cosmetic, baby lotions, foundation creams, mascara, deodorants, lipsticks & suntan lotion. It may cause respiratory & throat irritations, central nervous system depression, blood & kidney disorders.It could cause nystagmus (involuntary movement of the eyes, usually side to side but ca be up and down or circular, lymphocytosis;it can irritate the skin and may cause dermatitis & conjunctivitis. Ingestion may cause pulmonary oedema, brain damage, hypoglycaemia, intravascular haemolysis.In extreme cases, it may cause death. Possible carcinogen. Brown	– Represents Preservatives, Q15, Antiseptic, includes Parabens Includes Parabens (methyl-, propyl-, butyl- ethyl-) Proyply-Alcohol.Parabens are added to stop microbial growth and extend the shelf life of the products.Many Skincare Products contain Parabens, those with citrus seed may have been sprayed with parabens. They can be harmful if inhaled or swallowed, they can cause irritation of the skin, eyes and respiratory tract. It can cause allergic reactions on the skin, of which symptoms include itching, redness and pain.And it can affect hormones and have been found in Breast tumours .These have also been found in carbonated drinks. Proyply-Alcohol – is an antiseptic used in cosmetics, shampoos, shaving products, waterless hand cleansers, mouthwash (25-30%) and in the preparation of bottled water, carbonated drinks and decaffeinated coffee. In the mouthwash, it has been linked to mouth and throat cancers. Q15 – This is a preservative found in many cosmetics. It is a water soluble anti-microbial agent that has proven active against bacteria, but less active against yeast.It was found to be responsible for over 12% of allergic reactions in an American study. Not known if Q-15 can be absorbed through the skin for the carcinogen producing action to occur. It can react in the body with other chemicals to produce nitrosamines (known carcinogens.) Known formaldehyde releaser, may be a major cause of dermatitis , people who may be allergic to formaldehyde can potentially have problems with this ingredient. Orange – Add a little bit of body Acidity regulators like Ethanloamines used with preservatives like Diazolidinyl Urea. It prevents bacterial growth, though it’s not effective against fungi. These are acidity regulators and used normally with other Ingredients like DEA Cocamide. Amines react with nitrosating agents to form nitrosamines, which are carcinogenic. These are found in soaps, shampoos, bubble bath, lotions, cosmetics, laundry detergents.It can severely irritate body tissues, can cause dermatitis and may be corrosive to the eyes. Green –	Essential Oils like Lavender, Frankincense, Cypress, Sweet Orange, Myrrh, Rose, Palmarosa, Tea Tree, Sandalwood & Jasmine are just a few of the many wonderful natural fragrances available. 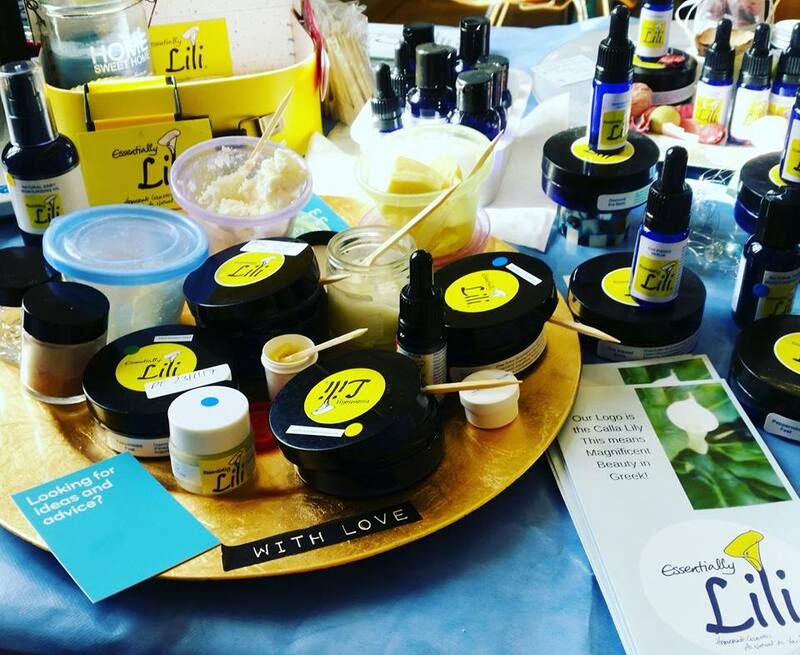 Yellow	– Butters & Vegetable Oils, like Cocoa & Shea Butter, Avocado, Jojoba, Wheatgerm, Baobab, Tamanu, Neem Oils. Also included are Herbs, clay, mud, flowers, leaves, roots, nuts, seeds, beeswax, milk, honey, yoghurt & fats. If the Green and Yellow ingredients have been organically sourced, free from pesticides and haven’t been doctored during the bottling stages, they can have some amazing effects on the mind, body and spirit.Their natural scents are liberating, refreshing, calming, soothing, relaxing and uplifting. The vegetable oils are rich in vitamins, often with natural UV protection, with antioxidants as they enrich your skin with goodness and benefits. The butters are creamy and literally melt in your hands once in contact with your body’s temperature. And making All Natural products that contain only these ingredients is definitely a more luxurious way to treat and rejuvenate your skin on a daily basis, without fear of what damage is happening to your body. What were your reactions to the list of Ingredients? Did you know what these were? Can you send in pictures of your favourite product’s list of ingredients so we can have a look at what’s contained? We look forward to hearing your feedback especially on this topic of Ingredients. 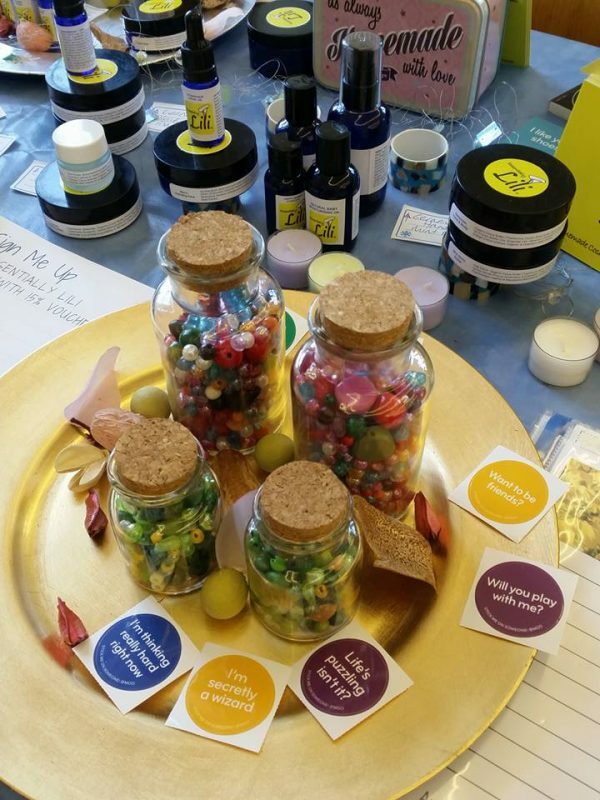 Check out the Gallery of Pictures – includes Our Jars full of Coloured beads, Samples of All Natural Products, Talking to my Visitors, Our Table Products & more to try including Cocoa Butter and Shea Butter in its raw form.